If you’re familiar with archival research you’ve heard the term “finding aid.” An archival finding aid describes the content of a collection, providing you enough information about that collection so that you can decide if it is something you need to explore for you research. There are other kinds of “finding aids” as well. On the Internet, there are several types of finding aids that help us locate what we need. For example, portal websites like Cyndi's List and Linkpendium provide website links categorized according to subject or topic which can help us find resources quickly. Numerous genealogical finding aids exist that can help us find a record or a resource which is helpful especially in cases where the record set is available in multiple places. Knowing about what finding aids exist can help you more easily find what you need and know what is available for researching your genealogy. Here are three of my favorite finding aids newspapers, records, and journal articles. Need to find a newspaper? The Ancestor Hunt is a great finding aid for newspapers from Canada and the United States (there are also links to free Australian and other international newspaper websites). Newspapers are a must for your research but the problem is they can’t all be found in one place. The Ancestor Hunt is a finding aid complete with links categorized according to place and website (covering both free and fee based websites). At the time of this writing, there were over 23,000 links to free newspapers online. This volunteer work by Kenneth R Marks also includes how-to tutorials and other genealogical resources. Go to FamilySearch’s Research Wiki and type in the name of the location you are researching (state, county). Chances are you’ll be taken to that place’s “genealogy” wiki page. From that page, on the right-hand side you will see a clickable list of Record Types. Click on these to learn more about the record type and where to find those records (available both on FamilySearch and on other websites). While some wiki pages have more information than others (remember it’s a volunteer effort), start with the wiki to fully understand what records exist and where they can be found. Google Scholar is not by definition a genealogy finding aid but it’s a good place to find journal articles rich in historical detail that will help you learn more about your ancestor's life. These topics might provide history or details the place your ancestor was from, their occupation, or the membership group they belonged to. Your keyword search on Google Scholar will provide you a list of results for articles that are freely available online or as a digital book available on Google Books. In some cases, you will need to find a copy of the article or book through Interlibrary Loan, a library, or by purchasing that specific article from the publisher or JSTOR. This is a resource you use to learn more about your ancestor’s life since it’s probably unlikely that they will be mentioned by name, unless they were famous, infamous, or you’re just lucky. Use Google Scholar to add that “flesh” to their story. Google Scholar can also search Google Patents and case law. So that’s just three finding aids I think you’ll find valuable. What are some of your favorites? How do you use finding aids to enhance your genealogy research? I love the Internet. What a great time to pursue our family history when we can easily explore, find, and study documents from around the world from the comfort of our homes. Lucky us. Unlike previous generations who may have been limited in what they could find due to travel restrictions, time, or even money, we have the opportunity to view digitized records that can shed light on all aspects of our ancestor's lives. The following digital collections are some of my favorites but not because my foremothers are prominently mentioned. Just the opposite. They are my favorites because they allow me to learn more about their time period, what they may have experienced, and provide me a better understanding of researching her life. Take some time to peruse the following websites and they might become some of your favorites as well. Click on the homepage's "Explore this Collection Online" button and you have the option to search or browse images that include magazines, pamphlets, and other materials. Limiting your Search by Creator/Contributors can help you to browse the collection. There’s so much to love here, one of my favorite collections has to do with Lydia Pinkham but I also love perusing the many books and magazines that give perspective on working women’s lives. 2020 marks the anniversary of American women receiving the vote which seems like a good time to learn more about the fight for suffrage (Did you know that women in some states had the vote decades before the 19th amendment but not all women had the right to vote once the amendment passed?). Library of Congress has quite a few historical suffrage collections that will help you better understand that fight. Social history involves learning about our ancestor’s everyday life and one way to do that is through music. The Library of Congress had a suffrage music collection that can help you understand what was going on during the early 20th century. “She’s Good Enough To Be Your Baby’s Mother, She’s Good Enough To Vote With You” is one such song that provides some interesting insight to this era. There’s a lot to like about the Duke University Libraries Digital Collections but for this post I want to focus on their Women’s Travel Diaries. Why is this important? Did your ancestor migrate, take a trip, or live somewhere you don’t? These diaries can shed some life on that time and location. “The diaries in this digital collection were written by British and American women who documented their travels to places around the globe, including India, the West Indies, countries in Europe, Africa, and the Middle East, as well as around the United States. There are over 100 diaries of varying length.” You can browse or search for items of interest. I personally love reading period diaries that help me better understand what life was like for a previous generation. This digital collection is fantastic for all that it offers genealogists with Nova Scotia roots. Not you? That’s okay, check it out and then consider what an archive where your ancestor lived may have and then look for it! This one has digitized documents focusing on suffrage, women of Digby county, as well as a recipe collection, and Court for Divorce and Matrimonial Case Files 1759-1960. I realize that most people reading this don’t have Nova Scotia ancestors but it’s a great example of what archives are adding to their websites and a reminder that we should look for archives in the region we are researching. Of course you knew there was no way we would get through a list without my mentioning one cookbook website?! And I love this one because it includes the first cookbook written by an American woman (Amelia Simmons) which sheds important light on what your early American ancestor was eating and what foods they had access to. (Be sure to read what she has to say about peacocks.) Seek out cookbooks in this collection for ideas about what foods and recipes your female ancestors would have been familiar with. So those are some of my favorites. Try them and let me know what you find. I’d also love to hear about digital collections featuring resources on female ancestors that you have found. There’s probably not a genealogy presentation I give that I don’t mention the website Google Books. There’s a good reason for this. Never at any time in history have we had access to so many books at our fingertips. Genealogists rely on books for information ranging from family histories and periodicals to city directories and local histories. Researching our family history from the comfort of our home or on the go is a new concept and Google Books provides us that luxury with its digitized collection of books and periodicals. So it makes sense that with that type of easy to access content there will be times you might not want to be sitting at a computer as you peruse a book that either names your ancestor or provides social history background on their lives. My experience with using the Google Books website on my cell phone is that it is not user friendly. I can’t seem to get the text large enough to see even with my reading glasses and I just find it downright frustrating. Yes, it could be just me but this is the reason that websites develop apps, so that the website can be more easily used on a mobile device. Now why would you want the Google Books app on your phone? It’s about more than the ability to search for books easily from anywhere. It’s the ability to view and read books you have saved and purchased from Google Play (yes, you can purchase books and download free eBooks from Google Books). The app includes tools for not only viewing your books on your mobile device but they increase the readability of those works via the brightness or tone. Plus it offers the ability to take notes, highlight, and bookmark passages so you can study the text you need for your research. Yes, the app provides access to books but it does much more. In fact the Google Play Help says: You can use Google Play Books to download, read, and listen to e-books and audiobooks on a computer, Android phone or tablet, iPhone, iPad, or e-Reader. You can use Google Play Books on more than one device. You can also listen to audiobooks on your Google Home and through Google Assistant. And you can do even more than that because Google Play Books allows you to upload PDFs and eBooks from other sources onto your Google Play Books app. So it does become your own personal mobile library. To download the app, go to your mobile device’s app store and search for Google Play Books. I found the best way to learn all of the app’s features is to play around with it but you can also refer to Google Play Help. Is the app as good as Google Books? Well, it’s different. It doesn’t have everything I like about Google Books because it is focused on providing you access to books you’ve purchased or saved. So for example, the My Library bookshelves aren’t there but to be fair they were also missing in earlier renditions of the app. Like most apps, Google Play Books doesn’t replace the website but it does help you have the content of Google Books available on your phone. “Get Google Play Books on your favorite device,” Google Play Help (https://support.google.com/googleplay/answer/4517692?hl=enL: accessed 17 January 2019). “Google Play Books,” ITunes (https://itunes.apple.com/us/app/google-play-books/id400989007?mt=8: accessed 18 January 2019). Are you familiar with WorldCat? No? One of my favorite resources, WorldCat is an important tool for genealogy researchers that can make the difference between finding information you need to document your ancestor and coming up short. WorldCat describes itself as “the world's largest network of library content and services. WorldCat libraries are dedicated to providing access to their resources on the Web, where most people start their search for information.” What’s important for you to know is that WorldCat is the world’s library catalog with 2 billion items from 10,000 libraries. Two billion items. Don’t assume that means two billion books because it doesn’t. No doubt that would be great but like other library catalogs, it includes periodicals, audio recordings, photographs, thesis/dissertations, archival materials, articles, newspapers, and more. So basically all the materials that we should be searching for when we research our ancestors. Basically you can find anything having to do with the place, occupation, religion, or events that your ancestor was involved in. Start using WorldCat by searching your ancestor’s hometown. Now, when I say search by a location that really involves more than one search. So for example, Independence, California is in Inyo County. So I would want to search for “Independence, California” and “Inyo County.” But then I also need to consider regional nicknames for that place which include “Eastern Sierra” and the “Owens Valley.” These searches will help me find records that detail the local history and genealogical records of that area. Did you notice that I didn’t tell you to search by your ancestor’s name? Why? Because this is a library catalog and not a genealogy database. Genealogy databases are filled with records that are indexed by name, date, and place. Library catalogs are different. So unless your ancestor was famous, infamous or an author, stick to searching by using keywords that describe a place, an occupation, religious affiliation, or an event. Let me give you an example of why WorldCat is important. If I do a search on “Snowflake, Arizona” I receive over 500 results. Snowflake is a small town in northern Arizona where my maternal family lived. These results include all kinds of histories including some religious histories that I’ve seen at the Family History Library in Salt Lake City, Utah. One of the items found in this search is a genealogical report of members of the Church of Jesus Christ of Latter-day Saints during the time period my family, including my maternal grandmother, lived in Snowflake. Notice where this item is located. Now, let me narrow my search so that I'm just looking at archival materials. This search results in 144 hits including interviews and diaries. One of the more interesting archival materials is bank records covering the years 1890-1909 found at Northern Arizona University in Flagstaff. None of those diaries or letters appear to be written by someone related to me but because this was a small town, it’s possible they knew my ancestors and mentioned them and would be worth checking into. So why should you use WorldCat for every research project? WorldCat is where you can identify histories and other materials important to your research. You already know that the FamilySearch Catalog is an essential part of your research. Guess what? FamilySearch’s Catalog is also available in WorldCat. Which for you means that if you find something in the FamilySearch Catalog that is only available onsite at the Family History Library, check WorldCat for the possibility of a closer repository with that same item. Don’t take my word for it, start using WorldCat now. Conduct a search on the place where your ancestor lived. If too many results appear, narrow it by choosing a specific format (on the left-hand side of the page). See what it can help you identify that you didn’t know about before. “What is WorldCat,” WorldCat (https://www.worldcat.org/whatis/default.jsp: accessed 7 December 2018). I’m a huge fan of the online resource Internet Archive. Why? Internet Archive is where you can find important genealogy resources that span books, periodicals, and microfilms. Have you used Internet Archive for your genealogy? If you haven’t, you should search it as soon as possible because it’s just possible you’ll find what you need. Below are five collections on Internet Archive that are my favorites and I bet they will soon become yours as well. It's no surprise that I mentioned the Genealogy collection first. How can you not love a collection of nearly 140,000 digitized materials from repositories like “Allen County Public Library Genealogy Center in Fort Wayne, Indiana; Robarts Library at the University of Toronto; the University of Illinois Urbana-Champaign Library; Brigham Young University in Provo, Utah; the National Library of Scotland; the Indianapolis City Library's Indianapolis City Directory and Yearbooks Collection; The Leo Baeck Institute Archives of German-speaking Jewry; and the Boston Public Library.” There’s bound to be something that interests you in this collection. Expect to find everything from family history surname books, to transcriptions, city directories, yearbooks and more. I don’t know about you but I’d much rather peruse microfilm from the comfort of my home than sit at a microfilm machine. So I’m a fan of this microfilm collection from the ACPL Genealogy Center. This collection includes the US federal census, records from the confederate states, Freedmen’s Bureau, military records, and more. To see everything that is included in this collection, see Topics & Subjects on the left side of the page. The journals collection has a simple description, “A collection of scholarly literature created by experts and professionals in their fields. 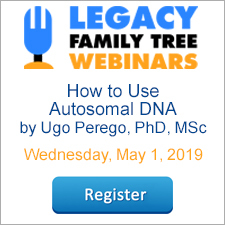 Included are theses, books, abstracts and articles.” So what that means for you is genealogy-relevant content from journals such as The Virginia Magazine of History and Biography, The Washington Historical Quarterly, and the William and Mary Quarterly. In the journals collection, search by the word genealogy, a surname, or a state to see what might be of use to you. One search I did on the keyword "women" brought up articles from the early 1900s discussing everything from teacher salaries to working hours of women in Chicago, and property rights of married women in Pennsylvania. Academic journals publish articles that can help us understand our understands life in context. There’s a couple different government libraries represented on Internet Archive but the Smithsonian is one new users may mistakenly overlook even though it’s full of materials with names that would be of interest to genealogists such as: Old Clocks and Watches & their Makers; American Indian Painters: A Biographical Dictionary ; and Makers of Early American Silver. The last choice for my favorite collection on Internet Archive is the Cookbooks and Home Economics collection. Sure, you may think that’s nice that I like cookbooks but you're wondering how a cookbook collection helps your family history. Good question! Search through this collection of historic cookbooks to find community cookbooks for the places your ancestor lived, cookbooks that include that favorite old family recipe, or even better understand what great-grandpa ate in the Army with the Manual for Army Cooks (1916). Yes, this collection is probably my favorite because of all that you can learn about your ancestor through what they ate. Internet Archive is literally an archive available to you from your home. Sure, its Wayback Machine is an important tool for finding content on cached websites that have now disappeared and their image and video collections might also have something you’ll want to peruse. But for me, it’s the text and microfilm collections that has the real hidden genealogical treasures. Do yourself a favor and start browsing the Archive and see what it can offer you. Are you using Facebook? There are many reasons to use Facebook for genealogy. 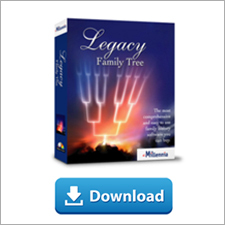 First of all it’s a great place to get your Legacy Family Tree questions answered. But you probably knew that. We all have our own reasons for using Facebook but one of mine is to keep up on genealogy resources. I also love to find recipes, history, and even interesting books to read when I scroll through my Facebook News Feed. I like that Facebook provides me a place to read more about topics that are of interest to me. But let’s face it, we don’t always have time to read an entire article. In some cases I catch a glance at Facebook while I’m waiting at an appointment or when I’m inbetween other tasks. So how can we "bookmark" those Facebook posts that we want to refer to at a later time? Facebook has a feature called Saved that allows you to save posts. This feature works slightly different depending on whether you are using it via the website (as you might if you're at your computer) or on the Facebook mobile app. So let’s first take a look at how it works via the website. To save a Facebook post, click on the three horizontal dots at the top right of the post. This will reveal a drop-down menu and one of the choices in that menu is to "Save post" (or "Save link"). Click on "Save post." Please note that you can save more than posts. You can also save events, links, and videos. Now, to see where that post went, go to your Facebook News Feed page, and on the left side under the Explore header, click on Saved (it has a purple bookmark icon next to it). Your Saved Page on Facebook will show your "Collections" and all of the posts you have saved. “Collections” are just that. They are a collection of saved posts that you curate around a topic. They are a way for you to save items that are alike in one group. So you might have a Legacy collection or a Recipes collection or a Social Media Tips collection. You can also add your Saved items to more than one collection if you'd like. You can also delete items once you are done with them. If you are using the Facebook mobile app and want to save a post, link, video, or an event, save the items just as you would using Facebook on your computer by clicking the three dots. When you save, a menu will appear prompting you to add your newly saved item to an existing collection or create a new collection. Once you save it to the collection of your choice, click Done. I love this Facebook feature and most admit I use it frequently. Even if it’s something I want to save temporarily, it’s so much easier to save it to a collection and then later delete it then to try to find where I originally saw it. Consider making a few collections right now for your genealogy interests and see how saving on Facebook can help you make the most of your social media time. Did You See Gmail's Latest Addition? You might remember that we talked about Gmail in my blog post, “What Else Can You Do With Your Email? Two Tips for Gmail. Google’s 20th birthday was September 27th and it seems fitting that we revisit this free Internet email program and check out two new enhancements that you may want to take advantage of. The two new features are aimed at helping you answer emails quicker. We all could use time-saving help as we go about answering emails and Google has what they believe is part of the answer to your email routine. These two new features are Smart Compose and Smart Response. Smart Compose might remind you of a Google search feature you’re probably already using. When you conduct a search on Google you may notice that Google tries to “guess” or anticipate what you want to search for. As you type, Google provides you a list of possibilities. This feature allows you to stop typing and simply click on the correct search term(s). This helps you to type less and get to searching quicker. The new Smart Compose feature in Gmail does something similar. According to Google's blog, The Keyword , Smart Compose is a "new machine learning-powered feature which suggests phrases to help you complete sentences in your emails so that you can draft them quicker." So as you type, Gmail tries to anticipate what word or words you are going to type next. It shows the anticipated words in gray. If you want to accept what Gmail suggests, just click the Tab key. If you don’t want to use Google’s suggestions, just keep typing. Smart Reply also helps you to answer emails quicker by suggesting responses that you will find at the bottom of the email you are typing. This is a great feature when someone’s email just requires a quick reply such as “Thanks so much” or “That’s awesome.” If the appropriate response is suggested, simply click on the response you want and send your email. If you don’t like the suggestions, go ahead and reply as you normally would. It's important to note that these "canned" responses aren't available for every email reply you write. I'm sure as the technology is perfected we'll see more of these each time we reply to an email. Right now this technology doesn’t write your emails for you but with time it might provide you enough assistance that it can cut down on some of the repetitive responses you find yourself sending in emails. “5 ways the new Gmail can help you get more done,” The Keyword (https://www.blog.google/products/gmail/5-ways-new-gmail-can-help-you-get-more-done/: accessed 1 October 2018).